Maximum flashing power with minimum size! The Light shooter flash from walimex pro holds this and even much more in store for you. With its compact size the Light Shooter reminds you of a system flash, but this tiny giant holds as much energy as a studio flash. The ideal tool for work on location. The flash offers a powerful 180 Ws output with a quick recharging time (0.05 to 2.6 seconds) and a high flashing rate (max. 900). This gives you sufficient power for your next event or wedding shootings, even if it should take some more time. The walimex pro Powerblock II or the walimex pro Powerblock Power Porta (not included in the delivery), which are also compact, light in weight and thus portable like the Shooter itself, supply the required electric power. Together these two devices are an unbeatable duo! The Lightshooter is characterized by its clearly arranged, user friendly control panel, which enables you to make all your desired settings intuitively. The blue illuminated display thereby always gives you a well structured overview of the device's statistics. 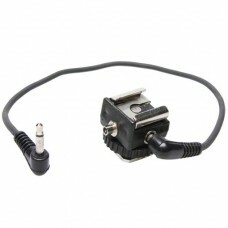 You receive the walimax pro flash with plug-in flash tube, a reflector with diffuser disc as well as a connecting cable to the Powerblock II or Power Porta. Further accessories, such as e.g. softbox or Beauty Dish, are optionally available to achieve an additional light characteristic. This gives you the flexibility of a studio.